Don’t you want your mobile app to go viral? Don’t you want to create a significant ripple in the market? You would surely want! So, what are the DOs and DON’Ts for the same? How would you even create a distinctive spell among your competitors? Well, this post is going to give you a sturdy idea about the same. Today’s mobile application development demands a lot of suppleness and your ideas always need a gamut of power tools to be converted into veritable apps. Even if you hire the best talent in the city, it doesn’t always ensure that all your expectations will be met for sure. For this, you need to fortify the quality of the product. You should always put a special emphasis on the fact that customers are becoming quite selective nowadays and especially with an array of new designing trends prevailing the market, the only way you can showcase your excellence is by presenting something unique on board. Thus, as a developer, you should always make it certain that you are, in no way, compromising on the quality of the product. For the success of any mobile app, adhering to this special benchmark is more than important. Testing- This is the most important thing to consider while developing any iOS or Android solution. Quality assurance is only guaranteed when you get all your solutions tested quite rigorously. Testing is always considered the key to success. There always remains a chance for any modern application to get affected by several threats. The more you test the app, the better is the chance for you to detect any viable bug that comes up. Even a single flaw may lead to severe consequences and the most effective way you can get away with it is by undergoing a systematic testing procedure. Responsiveness- Now Responsive Website has come up as a mandatory inclusion to any app development. A responsive website changes its layout and appearance based on the size of the screen the website is displayed on. A webpage that looks great on a desktop or a laptop may look out of sync while seeing it from a mobile. Responsive website here does its duty to make the webpage look similar even when seen on a mobile device. Though the main reason for many companies to switch over responsive websites is its high-end functionality, there are also many businesses that are converting their system to responsive design only in order to look trendy and snazzy. 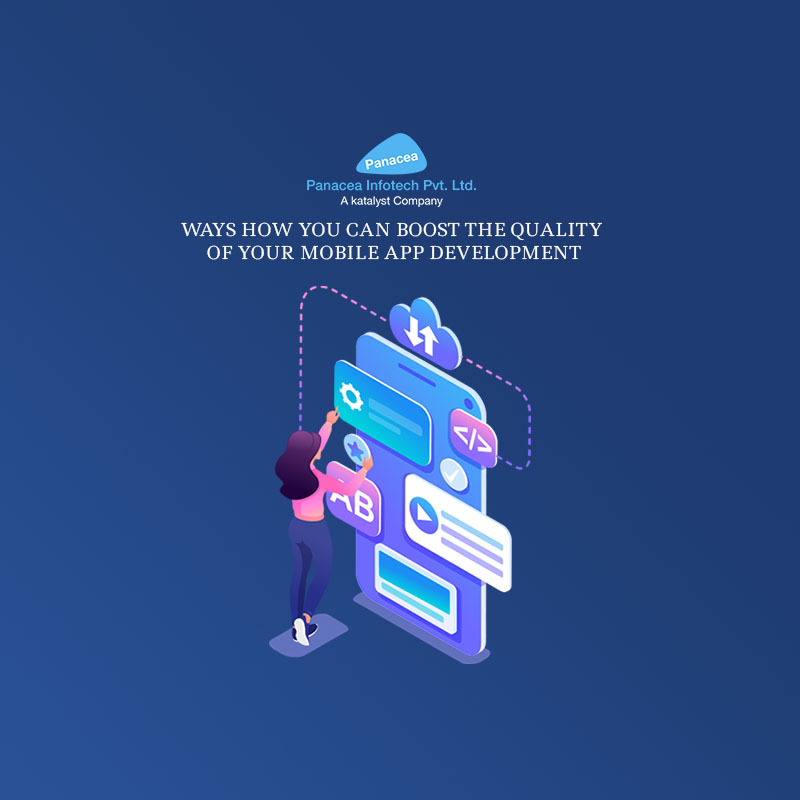 So, before you lag behind due to some severe mistake on your end, consider responsiveness as your top priority while going through an Android or iOS application development. Security- Though security is one of the most important aspects to consider, still it’s often ignored even by the greatest app developers. Security breaches are the most important thing you need to take care of while developing an application. Especially with cyber attack becoming one of the most common threats of today, you have always got to take up the best security measure on board. Designing the appropriate user authentication has huge significance, as it not only ensures the security of any sensitive information but also makes sure that every solution in every step is perfectly locked at the safest chest. Documentation- Your iOS application development should always get every feature properly documented. You should always ensure the fact that every integral part of your app is minutely described so that the professionals in charge of making the gizmo can clearly understand it. Data distribution- Last but not the least; users always tend to give special emphasis on real-time data distribution and as a wise mobile app developer, you should never ignore this part. The users always tend to be attracted towards such apps that give the most up-to-date information. No matter how much swanky the application is, it always has to get the latest data in use. Your app fails to do it and you will be lagging behind the list of the most competent mobile application developers. Thus, before you launch your app, always make sure that it’s going with the perfect sync with real-time data distribution methods. There is an end number of ventures developing new mobile apps across the country; but in order to come out with flying colors, the application you craft should always be exceptionally qualified so that it can give your customers the best return of investment. So, what is the wait for? It’s time for you to abide by all the above guidelines for the best of your interest and create a significant exemplary in the industry. Panacea Infotech is one of the top-end mobile app development companies, offering exclusive solutions to explore the change in Android and iOS app development services.